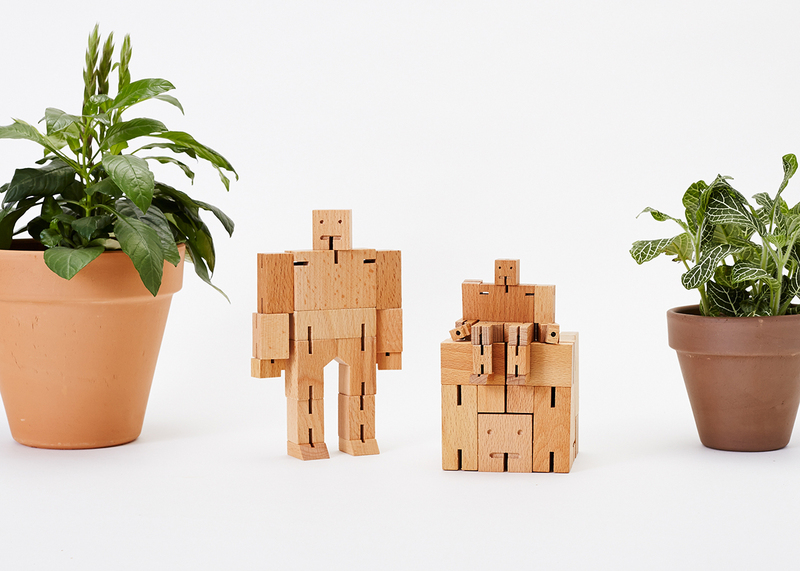 Cubebot is a friendly wooden robot that moves effortlessly from a cube into a figure. The challenging part is figuring out how to shape it back into a cube. 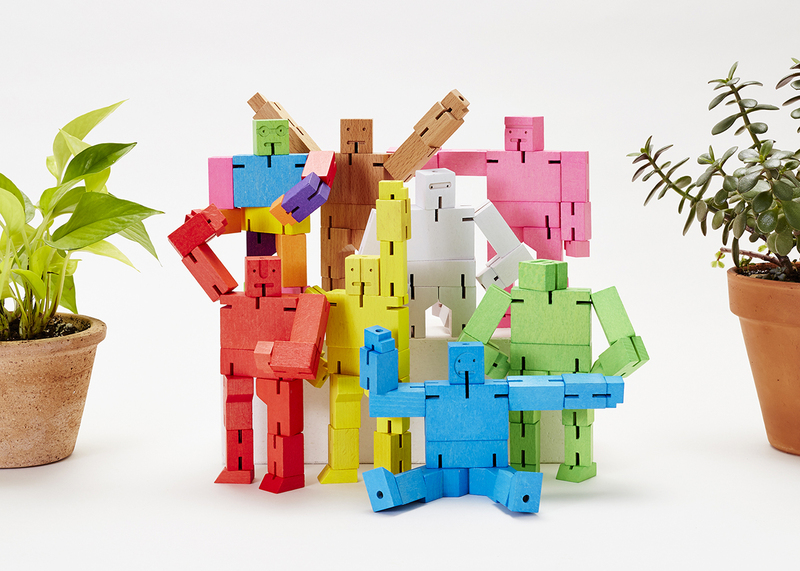 This puzzling aspect of Cubebot's persona is indebted to the influence of traditional Japanese wooden puzzles called Kumi-ki. 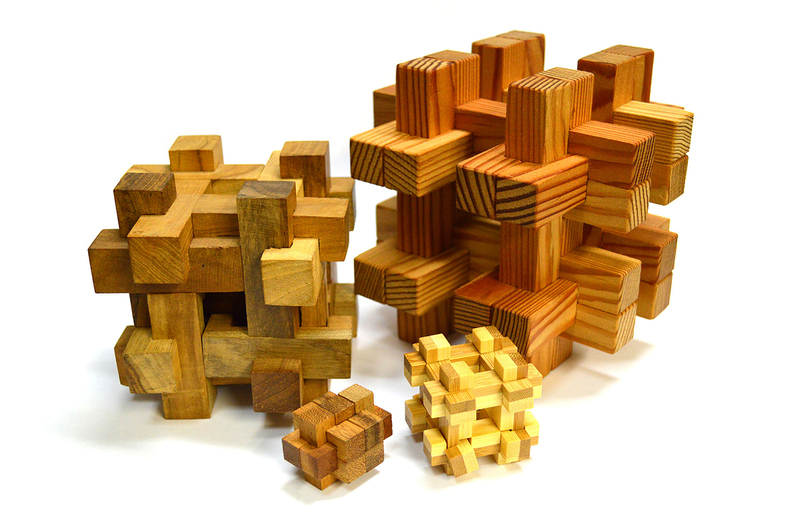 A Kumi-ki puzzle is a wooden interlocking puzzle that is meant to be taken apart and reassembled. It's distinct style is derived from the wooden joints developed by Japanese carpenters when designing wooden shrines and temples. These types of locking joints uses no nails or adhesives and were developed in Japan to fortify buildings in the event of an earthquake. 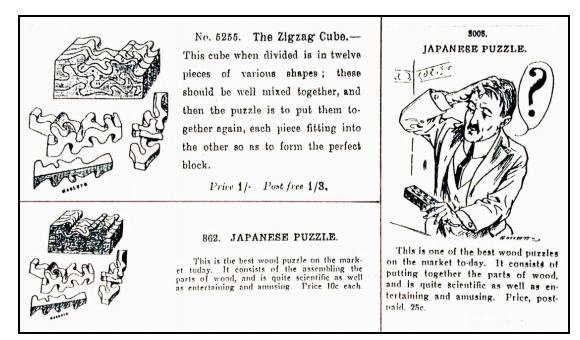 The first kumi-ki puzzles can be traced to around the year 1750 AD during the Edo period, a time of creative growth and stability in Japanese art and entertainment. 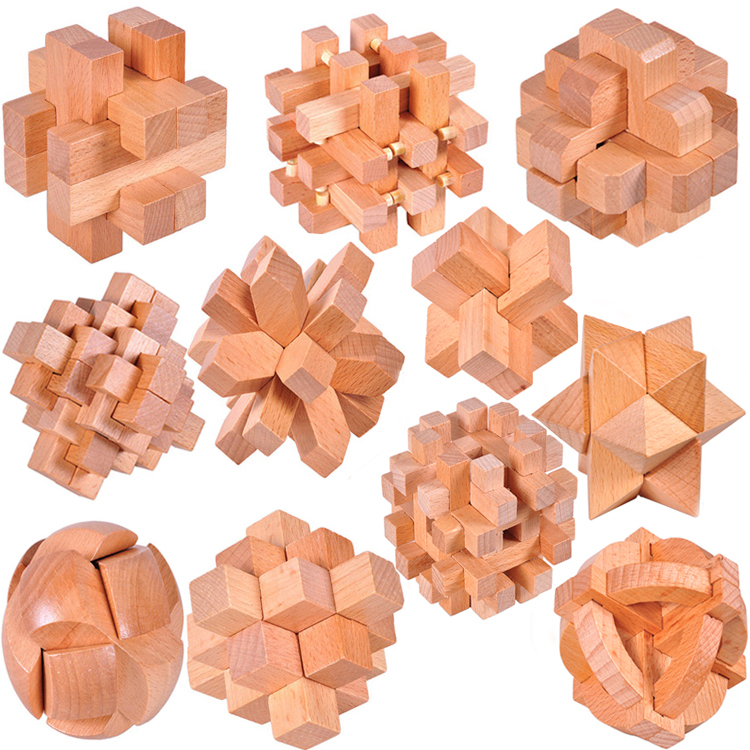 Other similar wooden puzzles were developed in China and Germany such as the Burr Puzzle, the Puzzle Knot, the Chinese Cross and the Devil's Knot. Once you've solved the original Cubebot try out Julien or Guthrie for a more advanced challenge.